Description More than simply jewelry, signet rings were essential in the Early Byzantine period for sealing personal documents and validating wills and testaments. 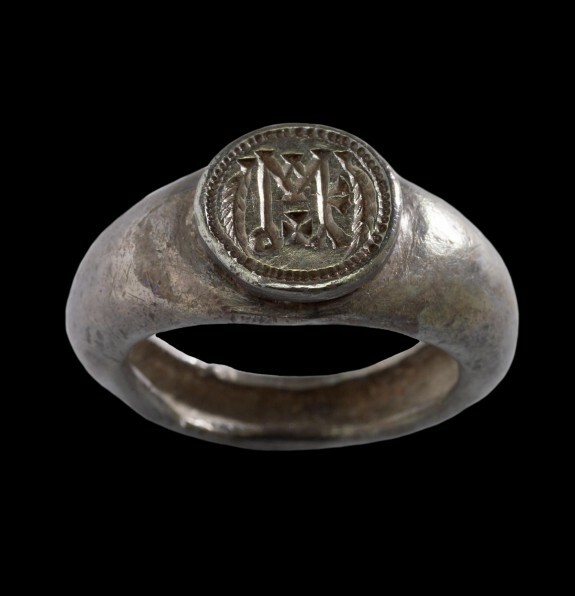 By the 6th century, most rings had a personal monogram, such as the block-letter format on this silver one that reads "of Mark". Provenance Günter Puhze, Freiburg, by purchase; Walters Art Museum, 1986, by purchase.